BJP's Mission Bengal aims at highlighting every failure of the Mamata govt. Will it succeed? The West Bengal BJP is trying to raise the pitch against the ruling All India Trinamool Congress ahead of next year's Panchayat elections. They are planning to highlight the delay and allegedly poor state of state-run hospitals as part of their Mission Bengal campaign. On the other hand, chief minister Mamata Banerjee’s claim that the infrastructure of in state run hospitals has improved with various facilities now available. The state BJP leaders have decided to launch state wide protest on 11 May on this issue, alleging that state-run hospitals lack doctors and basic equipment. Senior BJP leaders said that in border districts like Malda, Murshidabad and Bongaon, around 10% nurses remained absent on a given day. According to state BJP president Dilip Ghosh, “As a part of 'Mission Bengal' we have decided to highlight the appalling condition of state-run hospitals and we will launch a state wide agitation against Banerjee’s false claims in the healthcare sector”. According to state government statistics, there is a 35% shortfall in doctors and medical officers in state-run hospitals. In state-run medical colleges, the shortage of specialists is 33%. In primary health care centres, the shortage of doctors is about 40%. State government sources said that in April 2016, the state health department conducted a drive to recruit around 4,000 medical officers and 5,000 nurses for 40 newly set up super–specialty hospitals at West Midnapore, East Midnapore, Purulia, Bankura, Birbhum, Jalpaiguri,South 24 Parganas and North 24 Parganas. BJP sources said that in the last week of may, the party will launch another agitation highlighting corruption in state-run universities and colleges. A senior BJP leader disclosed that the idea is to flood people with information on the AITC's misrule and the directive has come right from the top – BJP president Amit Shah. The BJP will also highlight the areas of dispute between the West Bengal government and the centre. Recently the state government has sent a letter to Center urging them to scrap the no detention policy. BJP says it will take on the AITC on this issue as well. “The state government opposes every policy from the Centre,” said a BJP leader. On the other hand, the AITC is confident that the BJP will not be able to dent it's support base as there is a lot of goodwill for the state government's welfare measures. AITC says that the BJP's claims are false and that in reality, development work has been carried in every sector: health, education, public works etc and the benefits are reaching the people. 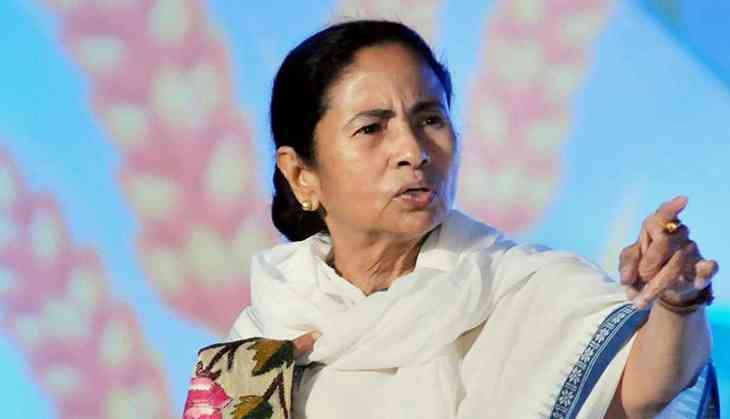 According to West Bengal parliamentary affairs minister Partha Chatterjee, “Elections for seven municipalities scheduled for 14 May, will be an acid test for BJP and we are confident that despite their efforts, they will not be able to break our support base. People have voted for us for the work we have carried out in every ward, blocks and village in the state. Every political party has the right to oppose the ruling government. But BJP is indulging in vindictive politics and the people of West Bengal can easily see their efforts towards creating a religious polarisation”. TWEET THIS BJP to highlight state of healthcare in West Bengal in its battle against Trinamool Congress BJP's Mission Bengal aims at highlighting every failure of the Mamata govt. Will it succeed? READ NEXT >> Did JNU VC violate norms in appointing Madhu Kishwar to academic council?